During this academic session the University is moving the module evaluation surveys to an online system called EvaSys. 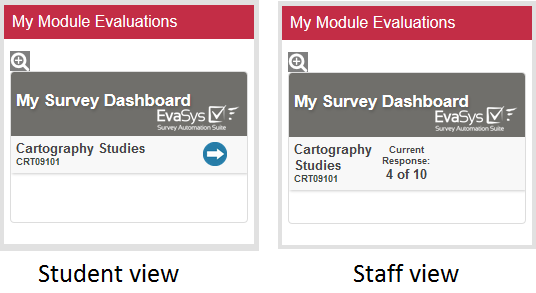 The My Module Evaluations block has been placed on the Moodle dashboard alongside your course list (not within individual modules). It provides students with links to available evaluations in EvaSys, and provides staff with the number of responses. This instructional video shows how students should complete an online module evaluation. Further information about online module evaluation surveys can be found on the staff intranet.